If you are using Google AdSense to monetize your blog, then there is good news for you. 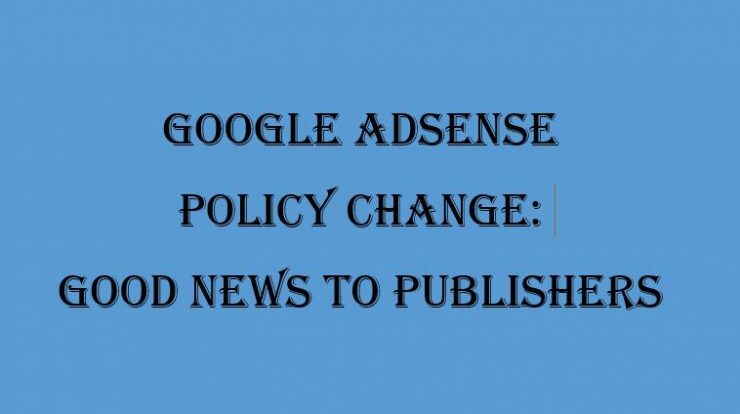 Google AdSense has recently made some favorable changes to its policy. Now, Google will move from site-level to page-level policy action. It means, instead of disabling the ads from the entire site, now no ads will be shown on the web page if it does not comply with AdSense policy. However, Google says that it will still take site level action in some case if required. Further, Google is also creating a new platform for the publishers to manage suspension of ads on their website. This will act as a one-stop shop for everything that publisher needs to know about policy actions. Now your turn. Please reply to this post, if you have the updated information on this policy. Further, feel free to contact us if you face any problem with the Google Adsense. You can even write your message in the below comment box.